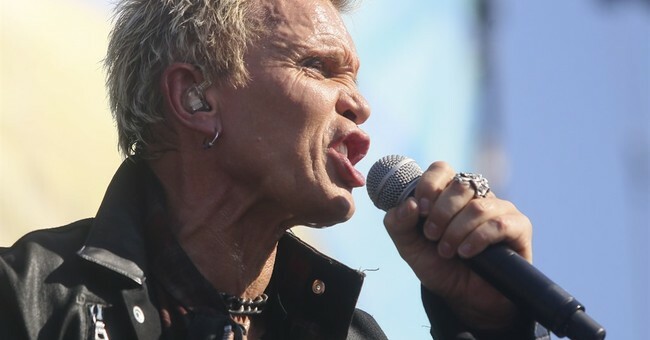 British rock star Billy Idol is now an American citizen. The 62-year-old rocker took the Naturalization Oath in Los Angeles, CA, Thursday, and U.S. Citizenship and Immigration Services was thrilled to share the news and some photos from the milestone moment. Idol was born William Michael Albert Broad in Middlesex, England in 1955. At two years old, his family moved to Long Island, New York and stayed there for four years. His official website explains how he developed a connection to America at that early age. Broad adopted the name Billy Idol in 1976, the same decade he co-founded the punk rock group Generation X. He moved back to New York in 1981 and became one of the most recognizable artists in what has been termed the "Second British Invasion." His decision to go solo was pretty successful, resulting in hits like "Rebel Yell," "Dancing With Myself," "Mony, Mony," and "(It’s a Nice Day for a) White Wedding," alluded to in the tweet. Congrats on officially becoming an American citizen, Billy!